A monthly workshop series, “Knowledge Matters: Communicating Research for Different Audiences through Transmedia,” held in 2018-19 and 2017-18, trains Cornell faculty members how to translate their research into various media genres for multiple audiences. Attendees have opportunities to create and showcase their blogs, vlogs (video blogs) websites, comics, pecha kucha, and other tools to communicate their research. 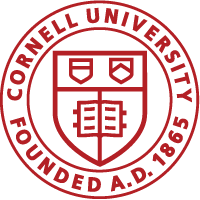 The fellowship is cosponsored by the Office of Faculty Development and Diversity, the Office of Engagement Initiatives, Center for Teaching Innovation, and by the Cornell University Library. For more information, see story in the Cornell Chronicle.